In 2018, nine Chinese companies committed to investing more than $10-billion in projects related to the zone’s four main areas of activity: a coking plant, a power plant, an alloy factory and the manufacture of steel. Representatives of the Limpopo Economic Development Agency (LEDA) travelled to Beijing to sign a series of memorandums with the Chinese companies. Shenzhen Holmor Resources Holdings, as the manager of the Energy and Metallurgical Cluster within the SEZ, will invest about R40-billion to create infrastructure. The planned Tubatse Platinum SEZ will focus on mining, as its name implies. According to LEDA, 17 new mines were established in the greater Tubatse/Burgersfort/Steelport area between 2001 and 2016, and a further 22 new mines are planned. The completion of the large new De Hoop Dam makes these plans possible. The focus at Tubatse will be on the beneficiation of platinum group metals, magnetite, vanadium and chrome. PMC provides the local market with 85% of its copper requirements. 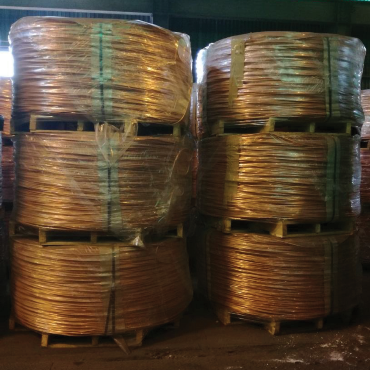 The other strong mineral focus in the eastern part of the province is at Phalaborwa where Palabora Copper, a subsidiary of Palabora Mining Company, produces about 45 000 tons of copper annually, most of which is sold domestically. It runs a smelter and a refinery and also mines magnetite, vermiculite sulphuric acid and nickel sulphate. everywhere – the list goes on and on. Silicon Smelters (the largest charcoal producer in Africa) and Anglo Platinum’s smelting facility, one of three run by the company, are both located in Polokwane. Northam Platinum’s metallurgical complex at its Zondereinde mine processes Merensky and UG2 ores separately. Implats sends its product to Implats Refinery Services in Springs, which it intends to take off the Eskom grid and power the refinery using fuel cell technology. Power will come from an 8MW Doosan Fuel Cell. With a depressed platinum price, platinum miners are hoping that demand from the fuel cell industry will replace the decline in demand for catalytic converters. Impala Platinum (Implats) has an interest in two big operations on the eastern limb of the Bushveld Igneous Complex. 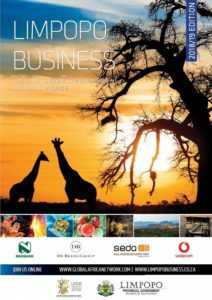 Marula Mine, a small part of which is shown on the opposite page, is about 50 km north of Burgersfort. South of the same town, in Mpumalanga, Implats (49%) is in a joint venture with African Rainbow Minerals (ARM) at the Two Rivers Mine. Limpopo contributes 4% of coal mining in South Africa, according to the National Department of Mineral Resources, but it seems likely that within the next three decades, the province will be supplying about half of South Africa’s coal. Limpopo’s Waterberg coal field is estimated to contain about 75-billion tons of coal. Major investments in Limpopo include an ongoing project by De Beers to convert its Musina mine from an open-pit mine to a vertical shaft mine and a multi-billion-rand new platinum mine project. Venetia Mine is by far the most important part of De Beers’ South African operation, accounting for 3.1-million of the 5.4-million carats recovered by the company from its six operations. Ivanplats, the subsidiary of the Canadian company, Ivanhoe Mines, has started sinking shafts at its new mine near Mokopane south-west of Polokwane. Ivanhoe has a 64% stake in Ivanplats with 10% owned by a group of Japanese companies including ITOCHU Corporation and Japan Gas Corporation. If the mine achieves the projected production rate of 12Mtpa with 1.2-million ounces of PMG, it will rank as the biggest PGM mine in the world. Royal Bafokeng Platinum has paid $70-million for the Maseve Mine and its concentrator. Canadian miner Platinum Group Metals agreed to a cash and shares transaction which will give RB Platinum concentrator capacity of 110 000 tons per month. Implats has purchased 15% of the Waterberg project (on the northern limb of the platinum belt) and has an option to buy more. RB Platinum’s new mine, Styldrift, will feed the concentrator and the company has the option to expand the concentrator to take input from all its mines in the area. RB Platinum already controls a concentrator at Bafokeng Rasimone Platinum Mine. Anglo American Platinum opened a new chrome recovery plant in 2017 at Amandebult. The plant, which will make commercial grade chromite concentrate, is partly owned by the Baphalane Ba Mantserre community. 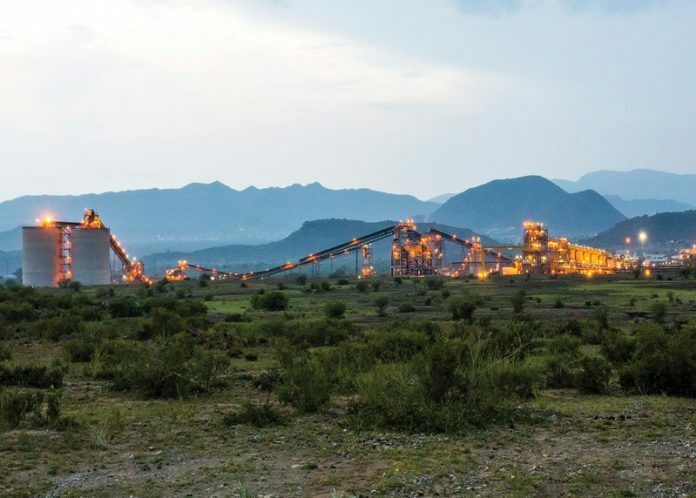 Northam Platinum’s Zondereinde mine just south of Thabazimbi was the site of a big celebration in February 2018 when a major smelter expansion project was launched. By building a second furnace, the ambitious Northam is making for provision reaching a goal of processing one-million ounces of platinum group metals (PGMs). The cost of the expansion, which was partly born by Heraeus, is R900-million. Northam has been purchasing mines, including the adjacent Tumela block, which it acquired from Anglo American Platinum. The Eland mine has also been bought from Glencore. Heraeus South Africa has offices in Gauteng and runs a precious metal chemical compounds production and refinery site in Port Elizabeth.